The past 12 months have produced several notable yachting news stories from around the world, ranging from triumphant launches to tragic events. We round up the biggest news stories from 2018. 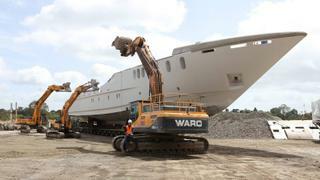 Boat International's biggest story in January was the news that a New Zealand salvage firm was offering the last 49.5 metre Sensation yacht for sale as it began to dismantle the shipyard. Construction on the yacht had begun nine years previously, but work had stalled due to the yard's financial difficulties. The past 12 months have produced several notable yachting news stories from around the world, ranging from triumphant launches to tragic events. We round up the biggest news stories from 2018. Boat International's biggest story in January was the news that a New Zealand salvage firm was offering the last 49.5 metre Sensation yacht for sale as it began to dismantle the shipyard. Construction on the yacht had begun nine years previously, but work had stalled due to the yard's financial difficulties. In February, it was the news that Oceanco had teamed up with Lobanov Design to present the 115 metre concept Tuhura that captured the most attention. Inspired by Polynesian canoes and Maori explorers, the radical design came from features a reverse angle bow and transom and a multitude of modern technology concealed by its ancient canoe shape. It was good news for the beleaguered sailing yacht yard Oyster Yachts in March when the company was officially bought out of administration by Richard Hadida Yachting. The deal, which was concluded for an undisclosed sum, saw the brand name and trademark, technical designs and drawings, build manuals, hull mouldings, machinery and subsidiary shares all purchased and consolidated into the new Oyster Yachts brand. 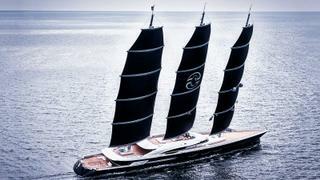 Oceanco's already legendary 106.7 metre sailing yacht Black Pearl was finally delivered in April and immediately joined the ranks of the world's biggest sailing yachts. The tri-deck sailing yacht was built from a steel hull and aluminium superstructure and reached an impressive top speed of 30 knots on her sea trials. In May, the 136 metre Lürssen superyacht Project Shu, one of the most awaited launches of the year, successfully completed her sea trials. Designed by Espen Øino, Project Shu's standout feature was a pair of superyacht helipads, one on the sun deck and a second situated on the bridge deck, with D-Values of 18 metre and 14 metres that can host the largest helicopters on the market. After a four year construction progress, the 116 metre explorer yacht Ulysses finally left German waters in June for her maiden season in the Mediterranean. After finishing her technical build at Kleven in December 2016, Ulysses was then sent to Bremerhaven for interior and external completion under the project management of Dörries Maritime. Ulysses cruises with a fleet of high-speed and day-cruising tenders including a 21 metre Princess 68 yacht which is stowed inside the well-deck. July marked the departure of the world's first hydrogen powered boat on a three year global voyage from France to Japan to raise awareness of renewable energy. Originally launched in 1983 as a sailing catamaran, Energy Observer was converted into a motor yacht and relaunched in Saint Malo last year. Following her relaunch, Energy Observer spent 2017 sailing in France and will spend the rest of the year and 2019 in the Mediterranean and Northern Europe. 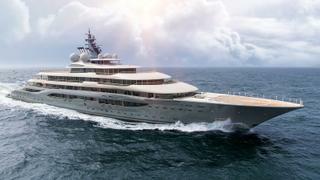 In August, Lürssen released a new rendering of its 109 metre superyacht Project Icecap. 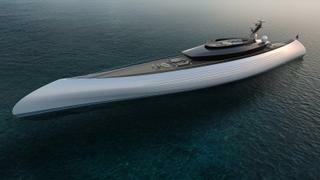 The rendering was noticeably different from the image that was released earlier in the year and shows the five-deck motor yacht sporting a blue hull. Notable features include an aft deck helipad and an inverted bow design hinting at polar cruising capability, something that is reinforced by the choice of project name. After a beleaguered auction process, the abandoned superyacht Indian Empress was finally sold in September for €35 million to a private buyer. The Maltese court approved the bid from Sea Beauty Yachting Limited for the 95 metre yacht, which came a day before Indian Empress's second scheduled public auction. 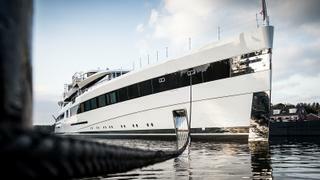 In October, Feadship announced it had launched one of its biggest superyachts to date, the 93 metre Feadship 814. 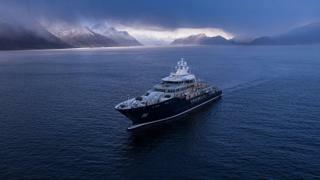 The yacht, which has been under construction for five years,"sets a new standard in luxury", according to the yard. 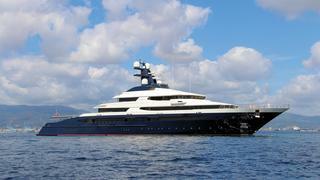 Indeed, standout features include a two deck IMAX theatre, fully certified helipad and four VIP cabins. 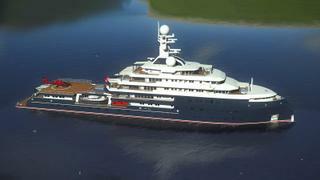 The yacht will also be equipped with a number of sports facilities for golf, basketball, volleyball and football. 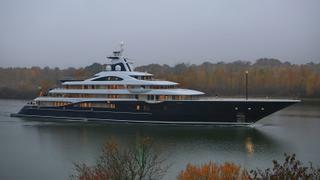 Lurssen's 111 metre, six deck superyacht Project TIS successfully completed sea trials in November. It came after the yacht was launched from the yard's Rendsburg facility in August. 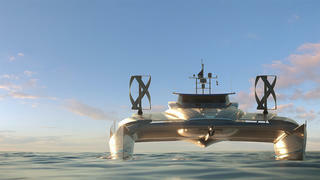 The six-superyacht, which is also known as Project Palo Alto, was styled inside and out by British studio Winch Design. The superstructure features several curved sections that contrast with the straight lines created by the decks. 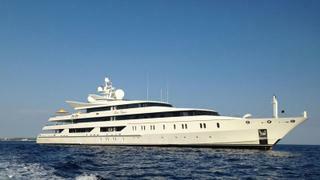 Seized superyacht Equanimity to be auctioned off for "nine figure sum"
In December, it was the news that the seized superyacht Equanimity was to be auctioned off for a nine figure sum by March 2019. The 91.5 metre yacht was seized in August after it was connected to the alleged misappropriation of $4.5 billion from Malaysia’s state investment fund 1MDB by high level officials and their associates.